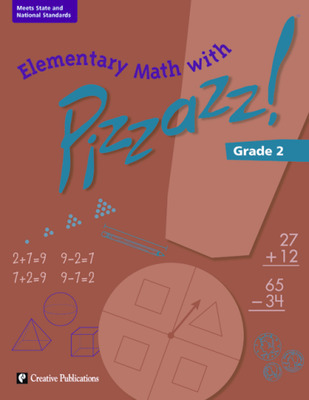 Elementary Math With Pizzazz! is a reproducible series for Grades 1-5 that provides grade-level practice to reinforce learning and help students attain mastery of important mathematics skills. Activity pages, which are appropriate for whole-class, small group, or individual use, can be used as a supplement to any mathematics program. This series uses many of the fun puzzle formats that are so popular in the existing Pizzazz! series for middle school and algebra. Exercises in all five of the Content Strands identified by NCTM are included at each grade; the pages within each book are organized by content strand. 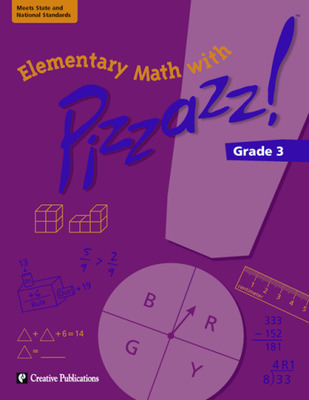 Elementary Math with Pizzazz! includes skills at each level that align with objectives identified in many state standards. Elementary Math with Pizzazz! addresses all five content areas identified by NCTM; the activity pages for each grade are organized by these content areas, and complement the objectives found in your mathematics curriculum. Whether used for practice, reinforcement, or enrichment, the riddles and puzzles in Elementary math with Pizzazz! will motivate your students and reward them for completing the exercises. Your students will enjoy a sense of accomplishment as they apply their skills and correctly solve the puzzles!